At his request there will be no service, but a life celebration planned for the springtime at a date yet to be determined. Paul Bousquet was born Dec. 9, 1930 in Pittsfield, Mass., son of Clarence Joseph Bousquet and Margaretha Louisa Lehman Bousquet. He graduated from Pittsfield High School and went on to Dartmouth and the University of Vermont where he raced competitively for their ski teams. He was captain of the UVM ski team and graduated in 1953 with a business degree. Bousquet grew up in the infancy of American skiing on the slopes of Bousquet Ski Area, one of the earliest ski areas in the U.S. The love of skiing and the mountains never left him. He went on to a long career in the ski industry that included years at Killington, Bousquet’s, Beech Mountain and Loon Mountain. He also served as director and president of the New England Ski Area Council (NESAC). More recently he served as Chairman of the U.S. Ski and Snowboard Hall of Fame selection committee and a board member of the New England Ski Museum. His father Clare was inducted into the Ski Hall of Fame in 2003 as one of the pioneers of skiing. Paul Bousquet loved skiing; he loved the life, he loved the people. Beyond skiing, Bousquet had many interests that included music, aviation and boating. As a young man he was an accomplished French horn player and studied at Tanglewood. 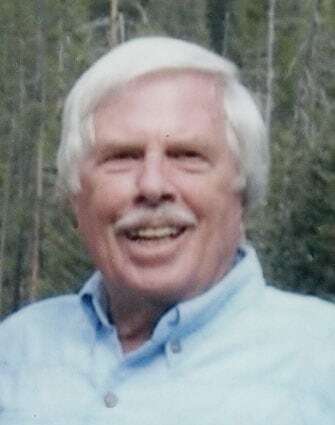 He enjoyed piloting planes and sailing, as well as fly fishing at Pierce Pond, Maine and in Montana with his life partner Sandye. Bousquet loved the community he lived in and the people that live here. He was active locally in the Windsor Rotary Club where he served as president, and the Woodstock Rotary Club where he was recently made an honorary member. He was named a Paul Harris Fellow, the highest honor in Rotary. He also wrote the business column for the Vermont Standard. Bousquet is preceded in death by his parents Clare and Margaretha and his brother Russell. He is survived by his life partner Sandra Carpenter, and his children, Rick, Chris and Anne, grandchildren Sarah, Tess, Candido, Emily and Michael – and the many friends he loved and cherished. Memorial donations can be made in his honor to the New England Ski Museum, 135 Tramway Drive, Exit 34B, Interstate 93, Franconia, N.H. 03580 or at newenglandskimuseum.org or Woodstock Area Rotary Club Charitable Fund, P.O. Box 581, Woodstock, VT 05091. Arrangements are under the direction of the Cabot Funeral Home in Woodstock. An online guest book can be found at cabotfh.com.